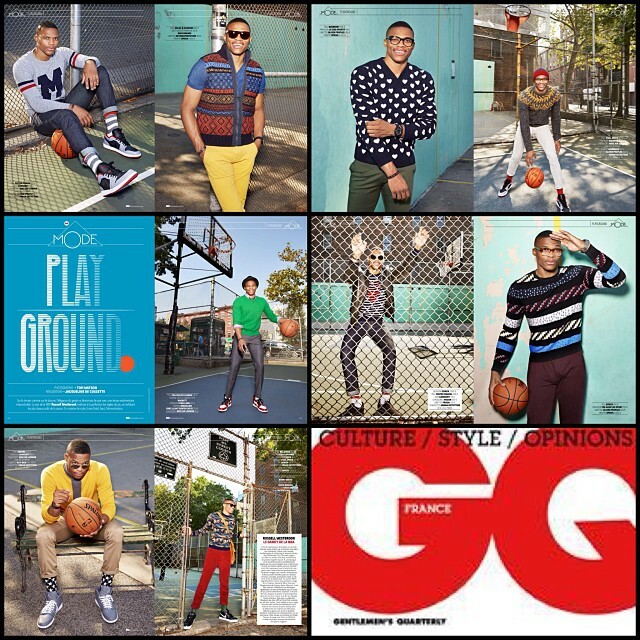 NBA star Russell Westbrook’s bold sense of style has made it’s way overseas, the Oklahoma City Thunder point guard has brought his fearless attitude off-the-court to the pages of GQ France November 2013 issue. 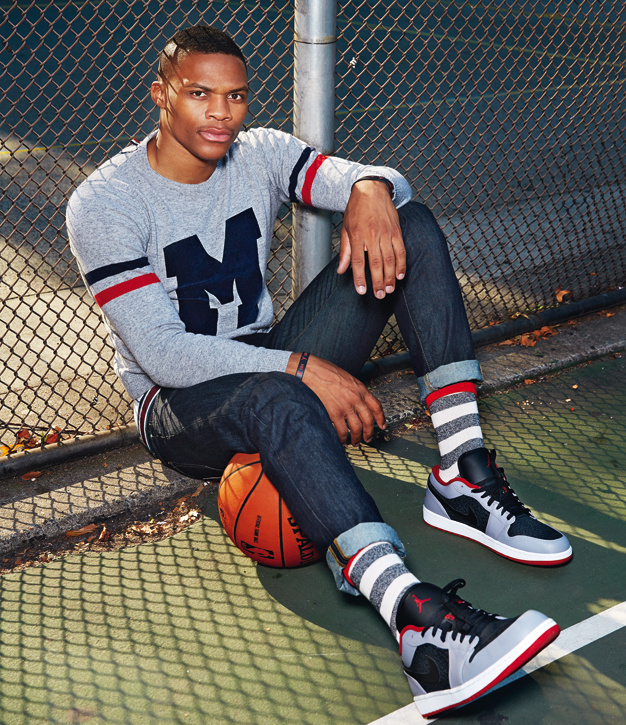 Man, what a couple of months for Russ, first he’s sitting front row with Vogue Magazines’ Anna Wintour during Fashion Week, and now he graces the pages of GQ France, the kid is taking the fashion industry by storm. In a fantastic feature with GQ France, Russell hits the the playground where he’s shot in a series of vibrant, heavy print looks for the fall season. Check out a preview of his feature below.